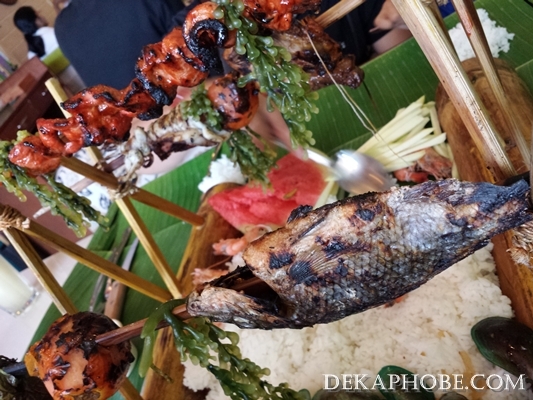 Tali Beach has grilled chicken inasal, big pork bbq, steamed white shrimps, grilled tilapia, grilled tahong, crabs, grilled squid, grilled tomatoes, lato, mango, watermelon with steamed rice. 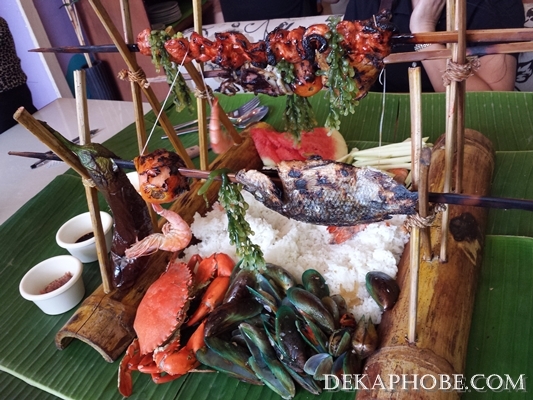 The boodle feast was more than enough for five of us. I enjoyed the chicken inasal and grilled tahong the most. Even the kids loved eating boodle style. A bigger serving (for 5-6 persons) is also available for Php 1299. 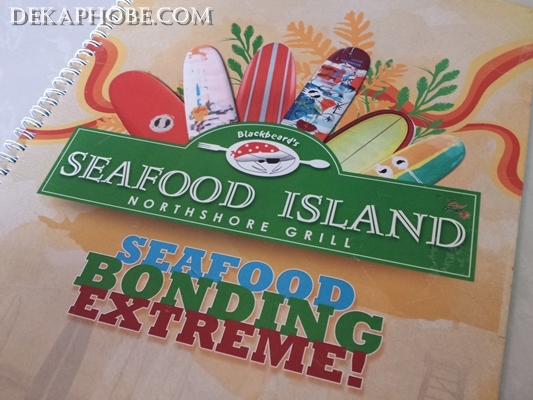 Aside from the boodle feasts, Seafood Island also has ala carte dishes at very reasonable prices. i've tried that group meal too. hits and misses. some dish were nice while some were just normal though. Do you really use your hands with that? or with spoon and fork? 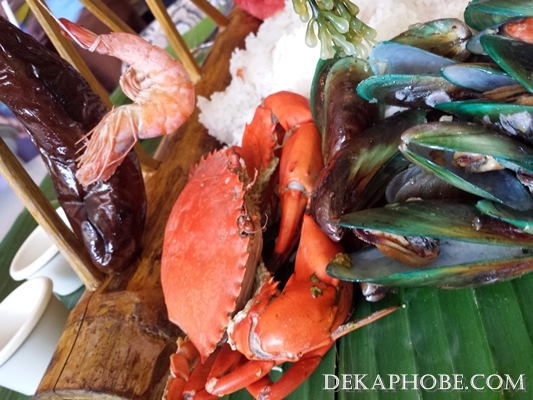 surely, nothing beats fresh seafood.